A native of Ballynanty Beg, Maurice Quinlivan comes from a well known Limerick family. Educated at Hassett’s Cross CBS, St. Nessan’s Community College and the School of Professional and Management Studies (now LIT), from which he graduated with a qualification in Industrial Engineering and Training, Maurice worked in the travel agency business for many years as a Manager in London and of Budget Travel in the Crescent Shopping Centre. Maurice was first elected to Limerick City Council in 2009 and was re-elected in May 2014, topping the poll with almost 25% of the vote. 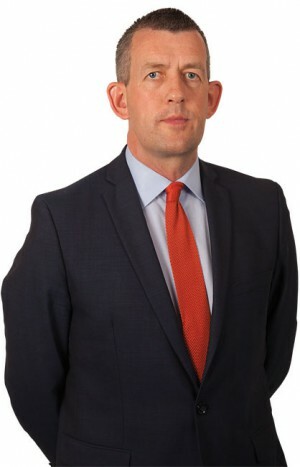 Now a full-time public representative, he is Sinn Féin’s Group Leader on Limerick City and County Council and Chairperson of the Council’s Road and Transport Strategic Policy Committee. Maurice is a member of several groups dealing with drug abuse and he is a Director of the Midwest Regional Drug and Alcohol Forum. He is also a member of the European Committee of the Regions and the Southern Regional Assembly. Over the last six years he has earned a reputation as the hardest working councillor in Limerick city.